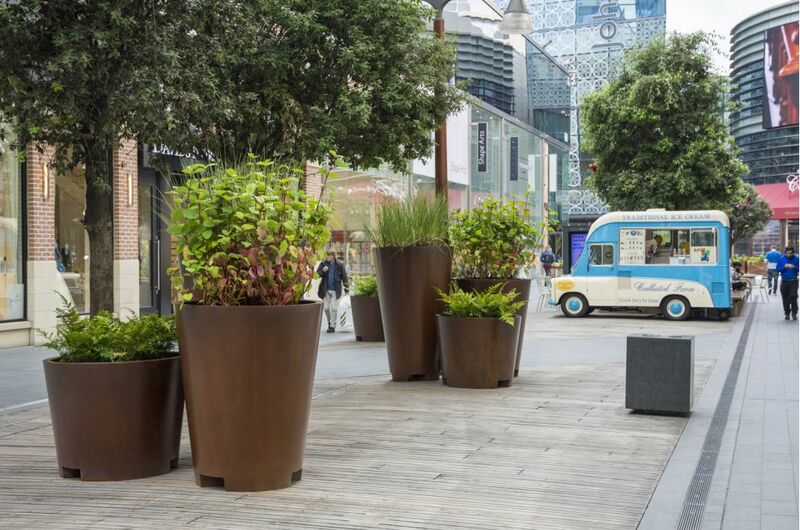 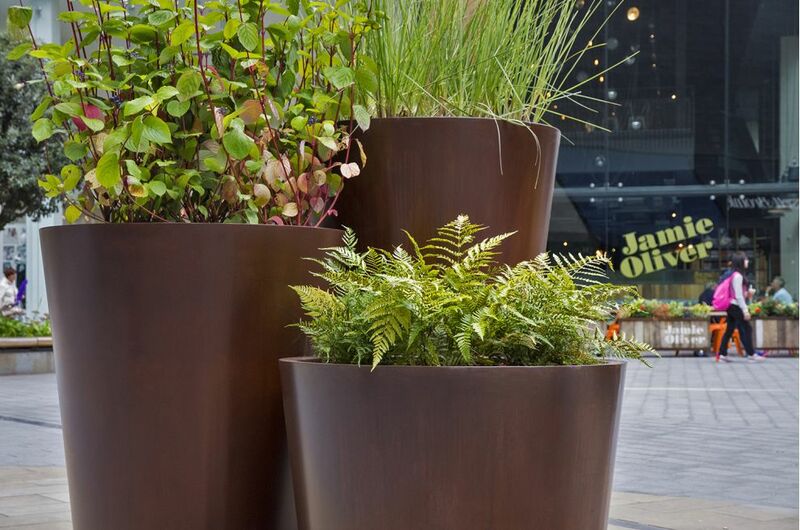 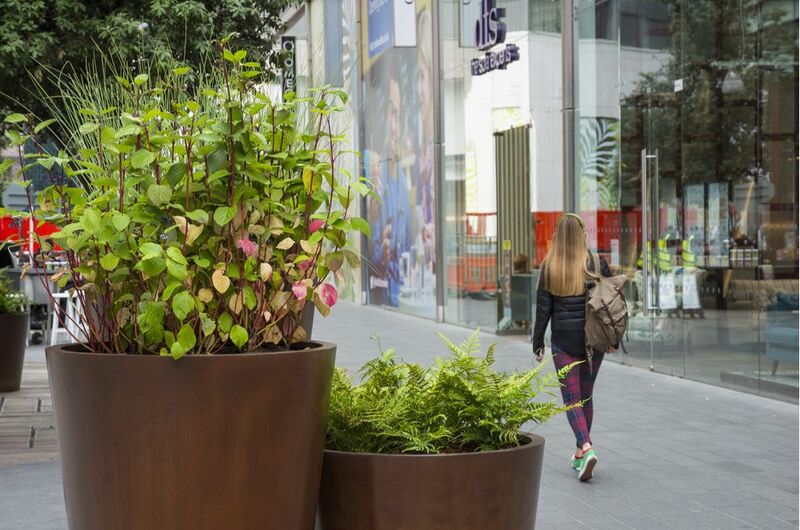 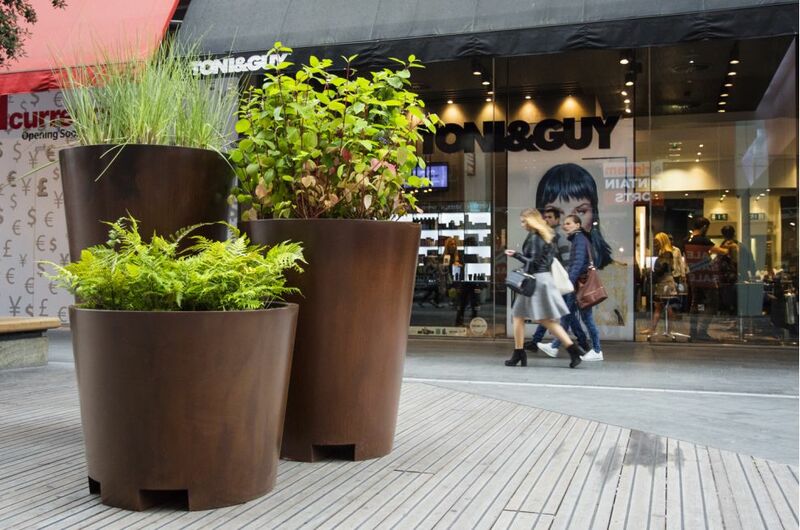 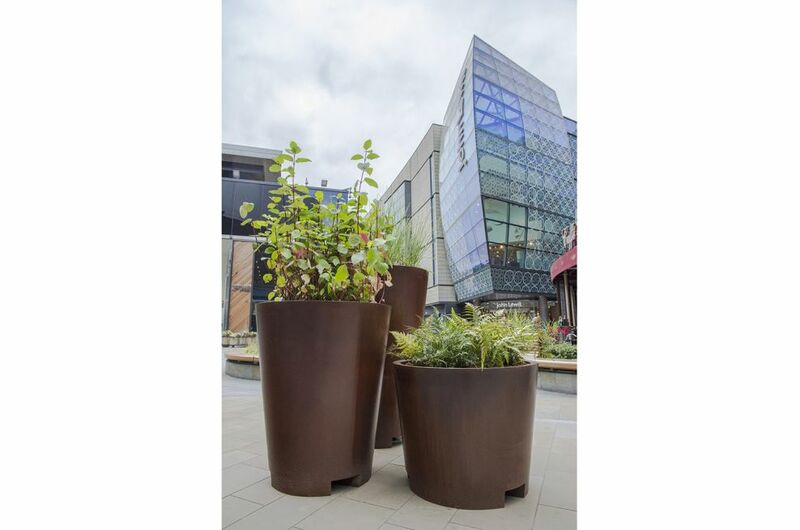 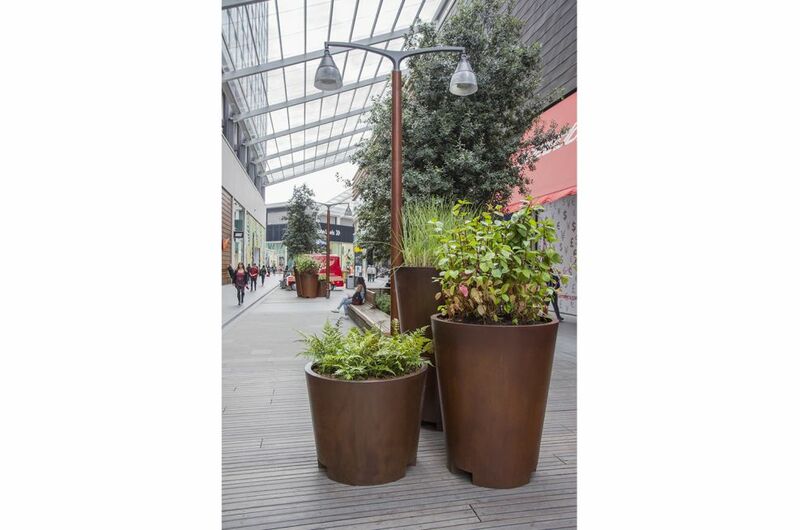 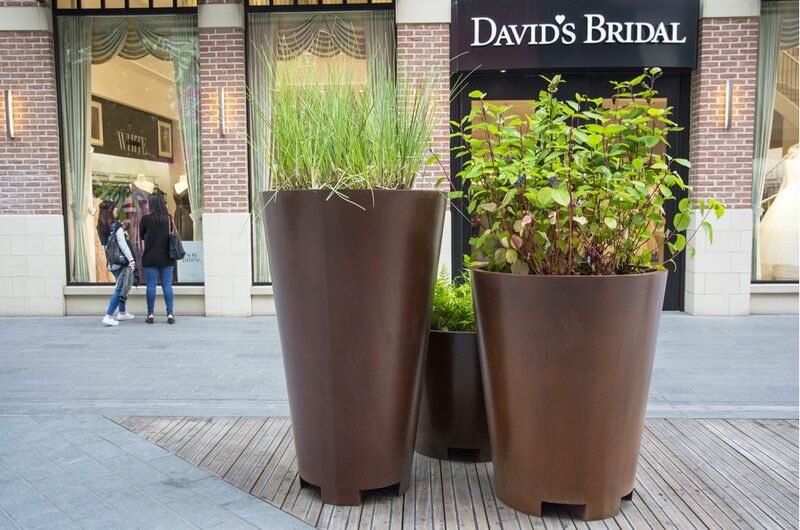 Striking large cone-shaped planters in a finish designed to mimic weathered Corten Steel were created for Westfield shopping centre, Stratford, London E20. 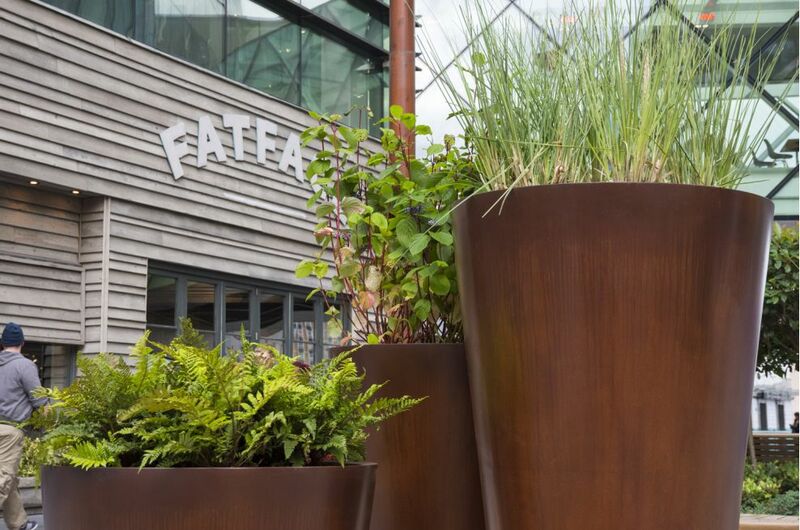 This Faux Corten look is created by chemically weathering mild steel, which is then sealed with a clear lacquer powder coating. 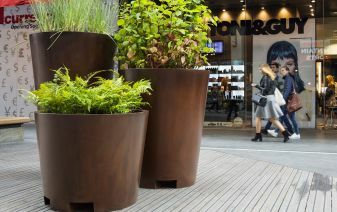 A total of 36nr. 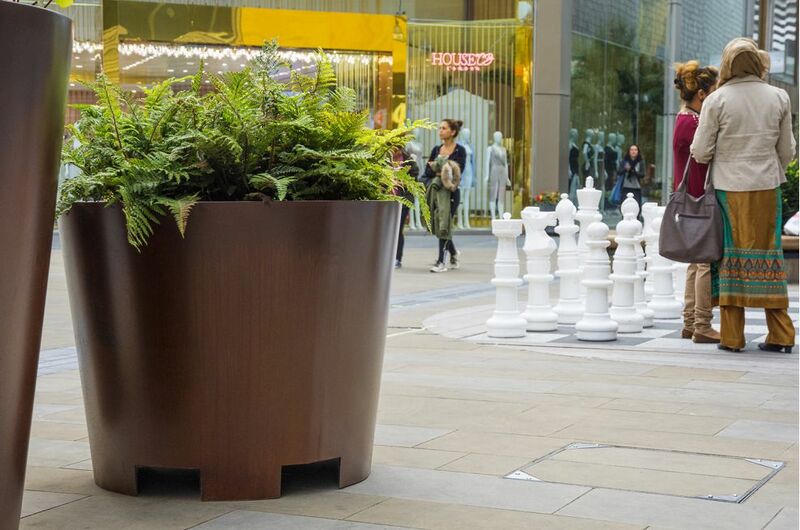 large planters were supplied in heights 800/1200/1600mm, all with a top diameter of 1000mm. 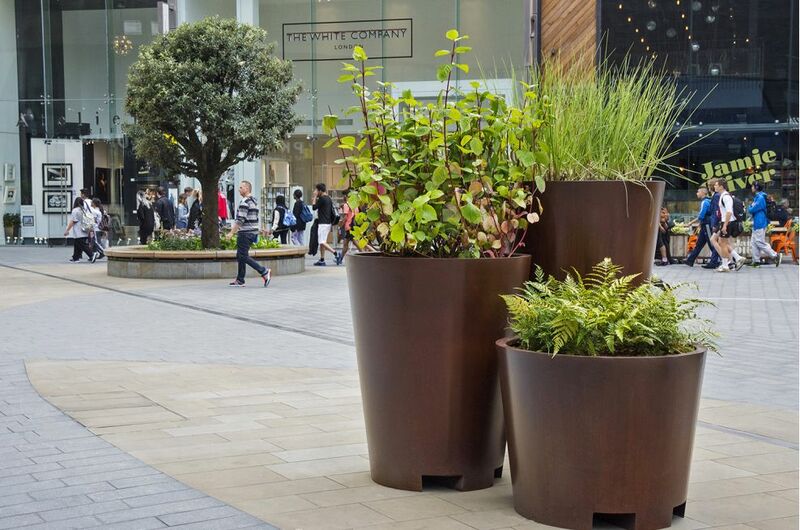 They were designed to be placed in groups of three, at intervals throughout the centre. 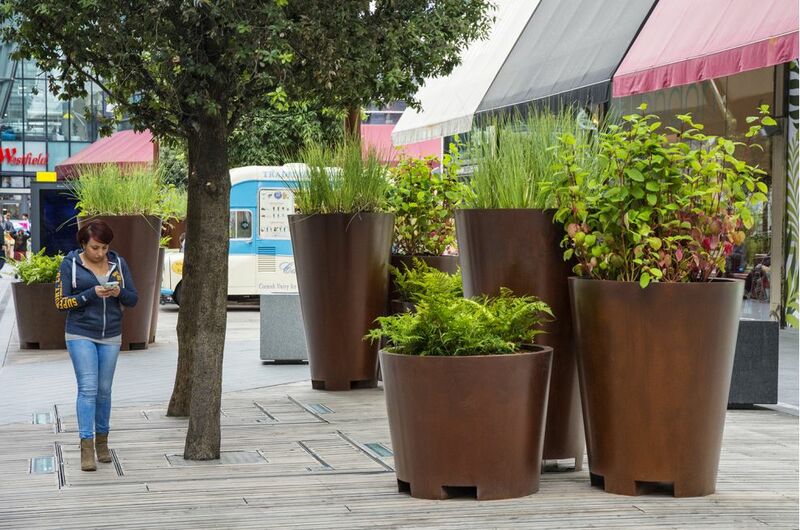 Forklift apertures were included for ease of movement, which read as a design feature rather than a functional necessity. 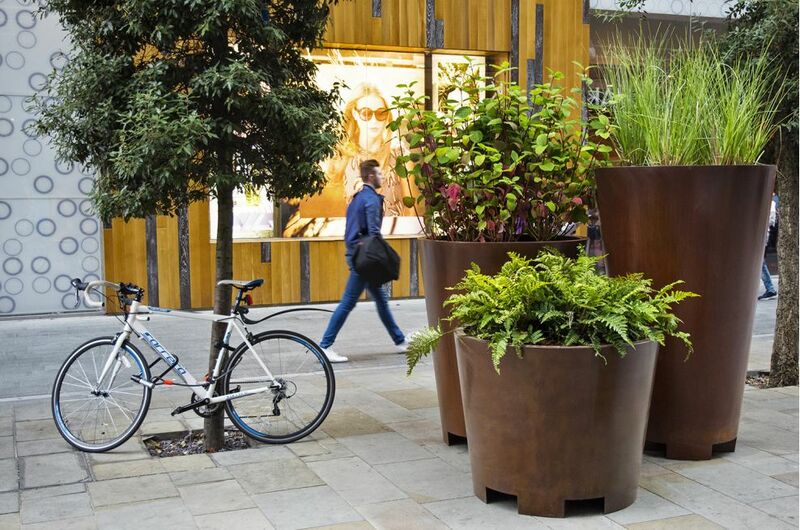 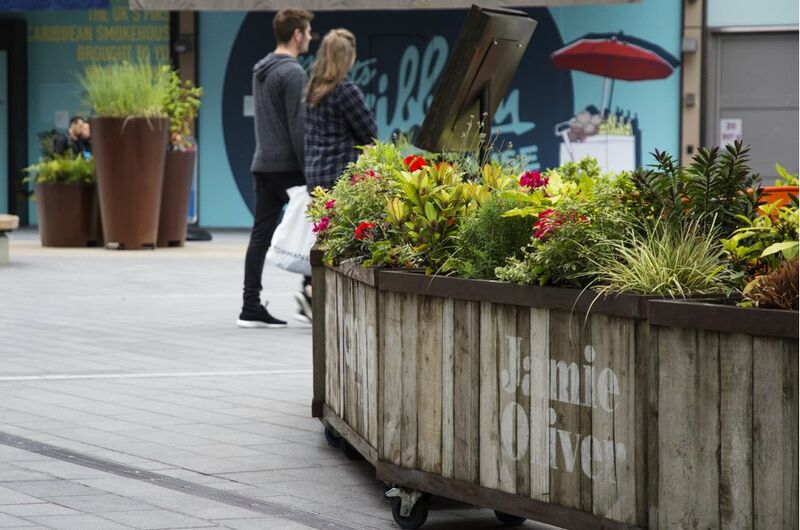 The planters were commissioned and installed by Urban Planters London East, who complemented the chestnut brown Faux Corten finish with bright, lime-green planting. 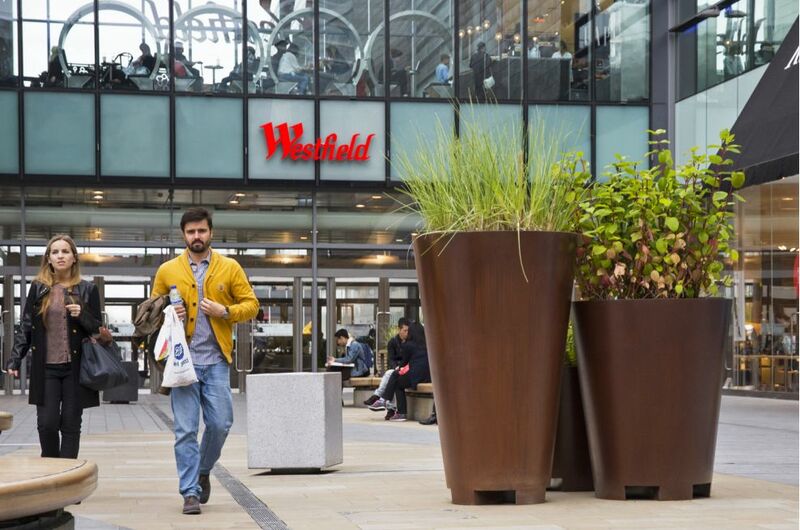 Westfield Stratford City is the largest urban shopping centre in Europe with a total retail floor area of almost 2m square feet, offering 250 shops, 70 places to dine, and a 17-screen cinema. 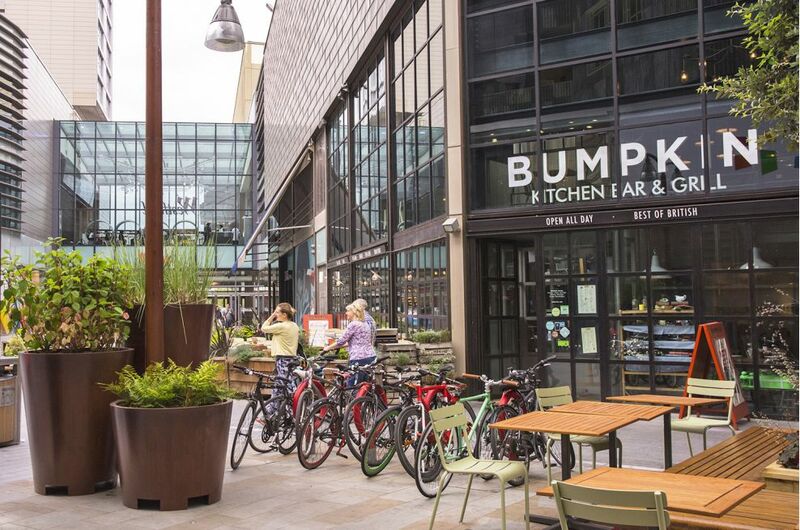 Overlooking the Olympic Park, it formed part of one of the largest urban regeneration projects ever undertaken in the UK.